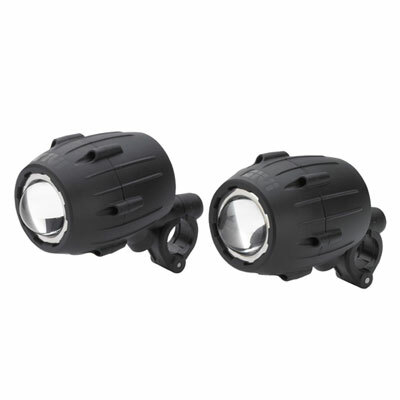 Additional halogen spotlights Pair of universal additional spotlights with halogen lights, to be mounted on tubular engine guards (ø minimum 21mm and ø maximum 26mm). They must be connected to the battery of the motorcycle, and they have a switch to be mounted onto a tubular handlebar. They do not require any modification to the electrical system of the motorcycle.